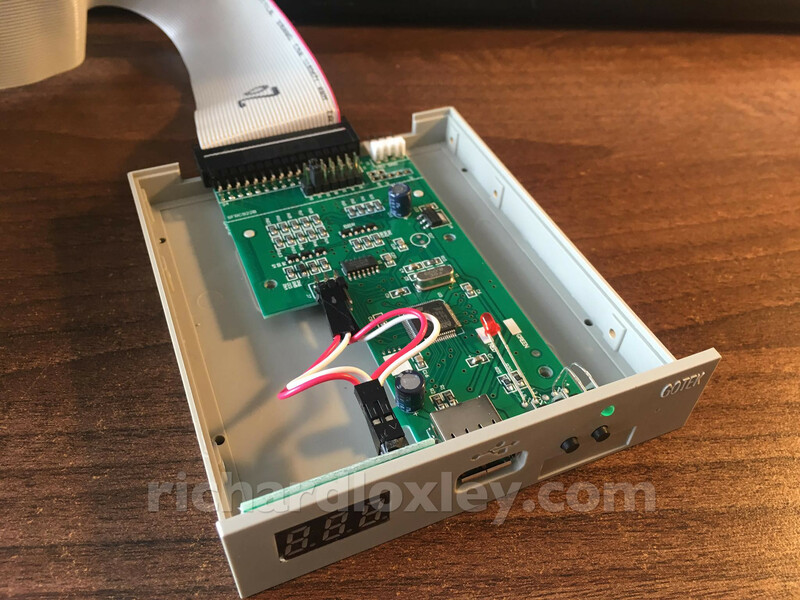 I constructed my USB floppy emulator last year as part of the Retro Challenge. At the time, the emulator that was compatible with the most different retro disk formats was the HxC. That was originally on dedicated hardware. But then the Gotek floppy emulator came on the market, a cheap and cheerful piece of hardware from the Far East. This originally emulated just PC-style floppies. 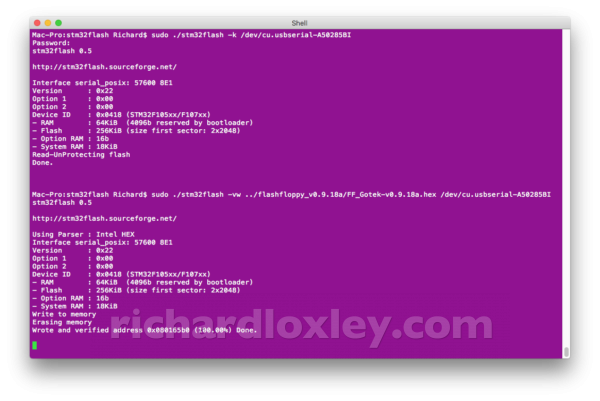 Some Amiga users worked out how to flash the firmware to expand it to work with the Commodore Amiga computer (and named the revised firmware Cortex). 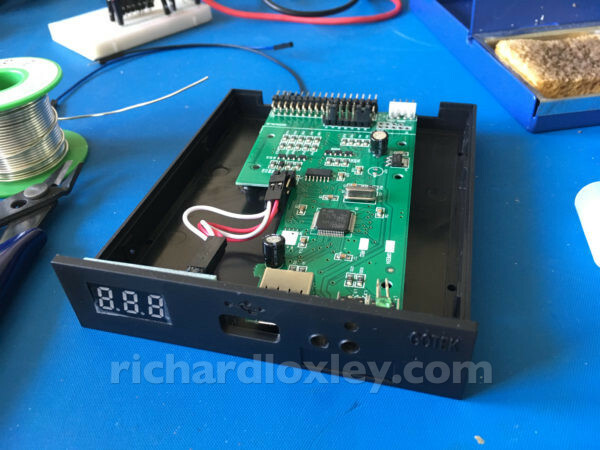 Then the author of the HxC system also ported his firmware to the Gotek hardware. You needed to licence the firmware from him, but even with that cost, it was significantly cheaper than the dedicated HxC hardware. That was the system I used. I don’t begrudge the licence payment, as I’m very happy for people to be remunerated for their work. But it was a shame that the HxC firmware wasn’t open-source. There were features lacking in the HxC firmware (e.g. 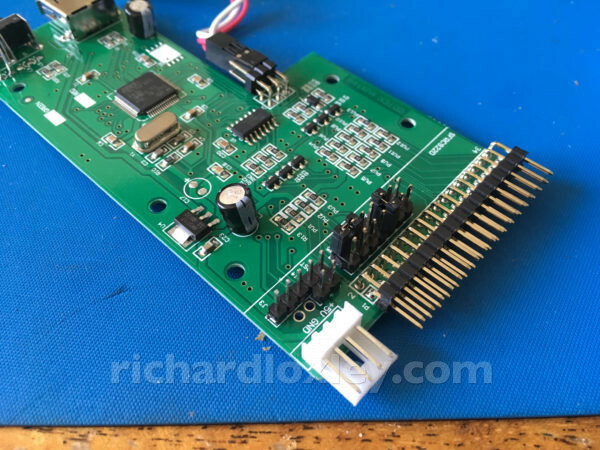 sound emulation, rotary encoder support). If it had been open-source I would have added those features myself, and fed the changes back. Fast forward a year. It seems others were also frustrated at the lack of progress from a closed-source product, and a rival firmware came on the scene: FlashFloppy. This is now almost as mature as the HxC firmware, and is free and open-source. I found out about FlashFloppy a few months ago. I thought I’d like to give it a try, but didn’t want to re-flash my Gotek hardware in case it broke something. So I ordered another Gotek drive from China. Last week the new Gotek drive arrived. 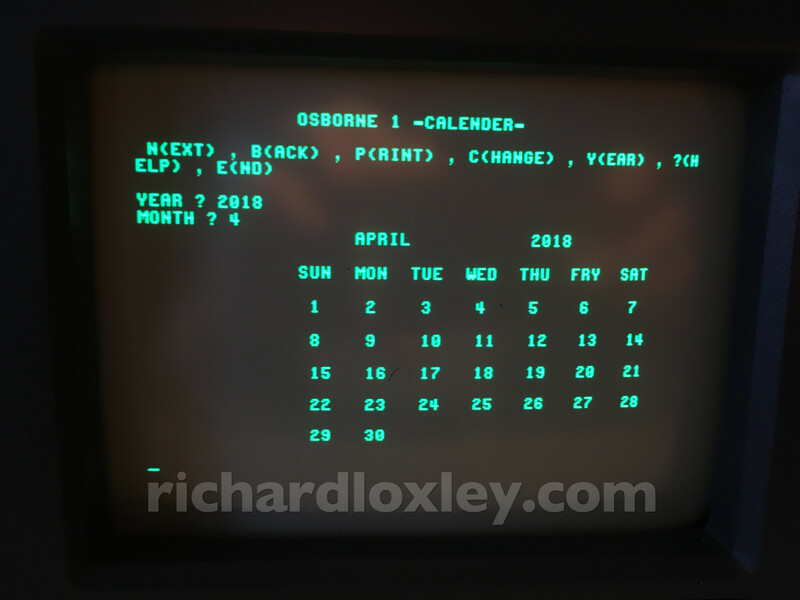 I was in the middle of the Osborne restoration, so I put it to one side. But since my original Gotek wasn’t fully working with the Osborne, it got me thinking. Here I had another Gotek to compare it to. Perhaps it was worth getting the second drive working with FlashFloppy and trying that to see if it worked any better? So that was the new plan! Wait – that was it? It took about 30 seconds from start to finish! 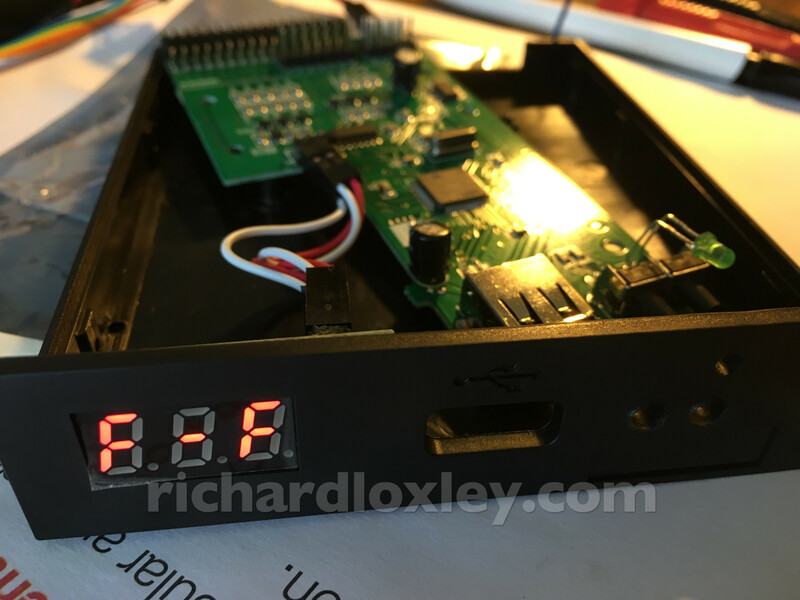 When I flashed the HxC firmware last year, it took me all afternoon. 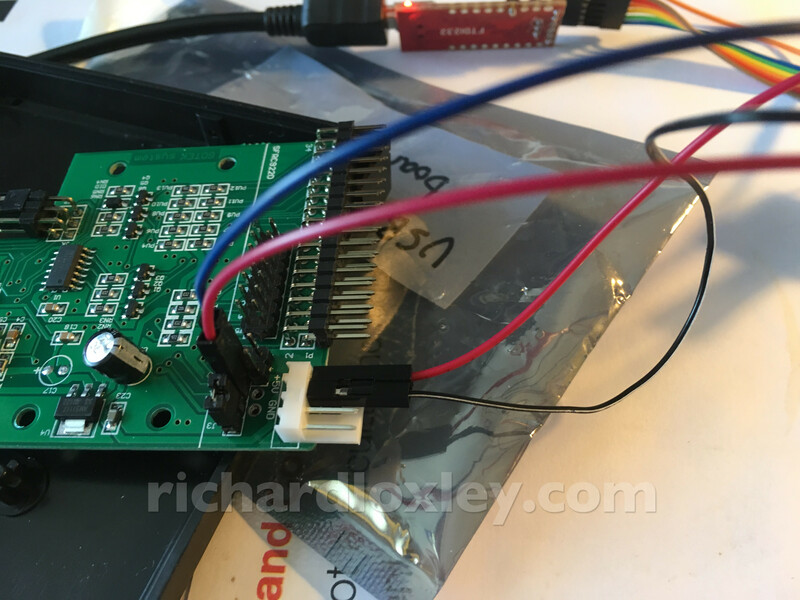 That’s because it insisted on some stupid software that downloaded the firmware from the internet while it flashed it (apparently for copy-protection reasons) and it really didn’t get on with my cheap USB serial board. One more tick for the open-source solution! So I’ve now got a working Gotek/FlashFloppy drive. Let’s test it with the Osborne. I could investigate further, but given I’ve got something that now works correctly with the Osborne, I think I should quit while I’m ahead! Next up, make the Gotek/FlashFloppy drive a bit more refined for long-term use. Well…i have checked and according to the server logs, it took ~30 minutes for you to flash the drive in 2017, for sure not an afternoon ;). Another point : the sound feature was released with the HxC firmware before the other firmware. Yeah, that sounds about right for the actual attempts to flash it. The software refused to allow me any more attempts after that point. 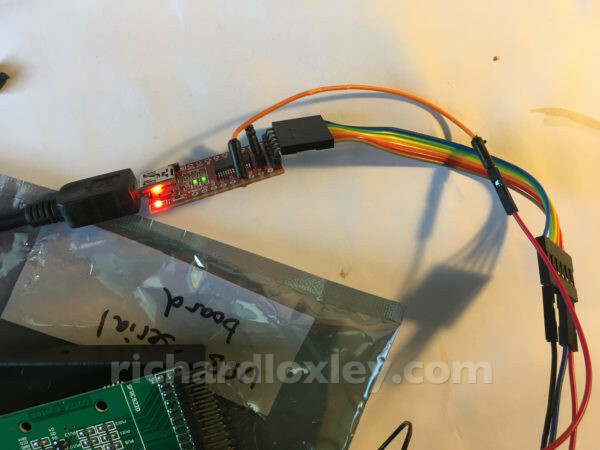 But I also had to find a Windows machine to run the Serial Bridge software (I normally only use Macs), and then try to debug why the software didn’t like my serial board (every attempt to flash the Gotek failed at 49% – until Serial Bridge finally said I’d run out of licensed attempts). That took the rest of the afternoon! I still never got a successful verified flash from Serial Bridge. I just muddled on with the final unverified attempt, which seemed to run ok. If there is a way for you to change from the clunky Serial Bridge software and allow people to flash with alternative software, that would be a big improvement in my opinion. I’m guessing you use it to stop people flashing multiple drives with one image? But I’m glad you’re still developing HxC and still pushing the boundaries. Great work, it’s very much appreciated! 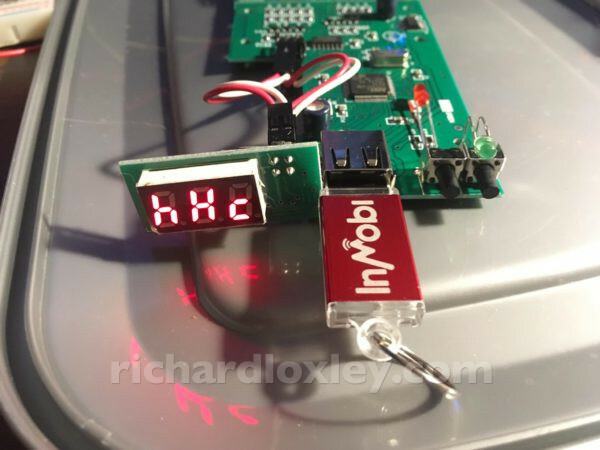 Developing such firmware (and hardware) cost lots of time to the developer. And a floppy emulation product take a lot of time with user support too ! So i want to be paid for this. I even think that the 12 Euros price is quite low regarding the work involved. So i must at least be sure that the distribution system will not make any “leak” of the firmware possible or at least make it difficult. This the job of the flashing system. Without it, this is just a “no go” for me. Regarding the software : More than 7K units was successfully flashed and it was used under Linux with Wine and under Mac OS X with another VM (i don’t remember which one).